Scott Brick first began narrating audiobooks in 2000, and after recording almost 400 titles in five years, AudioFile magazine named Brick a Golden Voice and “one of the fastest-rising stars in the audiobook galaxy.” He has read a number of titles in Frank Herbert’s bestselling Dune series, and he won the 2003 Science Fiction Audie Award for Dune: The Butlerian Jihad. Brick has narrated for many popular authors, including Michael Pollan, Joseph Finder, Tom Clancy, and Ayn Rand. 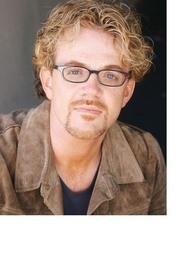 He has also won over 40 AudioFile Earphones Awards and the AudioFile award for Best Voice in Mystery and Suspense 2011. In 2007, Brick was named Publishers Weekly’s Narrator of the Year. Brick has performed on film, television and radio. He appeared on stage throughout the United States in productions of Cyrano, Hamlet, Macbeth and other plays. In addition to his acting work, Brick choreographs fight sequences, and was a combatant in films including Romeo and Juliet, The Fantasticks and Robin Hood: Men in Tights. He has also been hired by Morgan Freeman to write the screenplay adaptation of Arthur C. Clarke’s Rendezvous with Rama. Listen to this audiobook excerpt from Ben Bova's science fiction novel The Precipice, the first novel of the Asteroid Wars about Earth's near future from the "leading light of hard science fiction and space advocacy" (Booklist). The last book Frank Herbert wrote before his death: A stunning climax to the epic Dune legend that will live on forever.